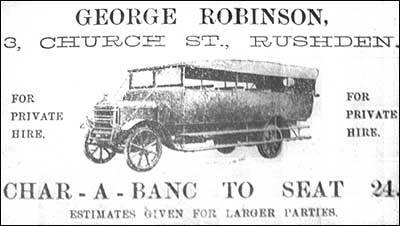 George Robinson first operated a charabanc and taxi service, in about 1920, from 3 Church Street, formerly the property of W Mole, a baker. 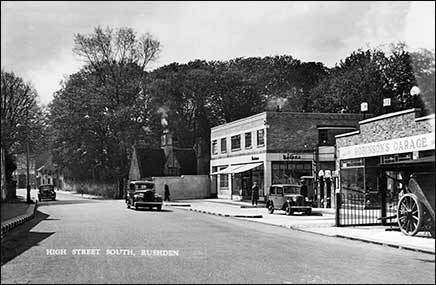 He then began servicing the vehicles and gradually offered his motor engineering skills to the townspeople, from the former Okins' garage. 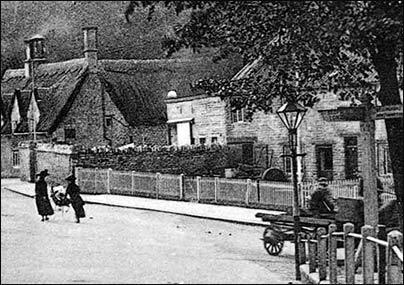 The area was cleared in about 1930, and a new garage built on the site. 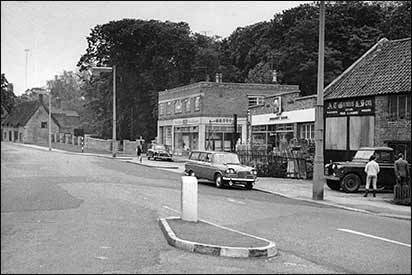 In the 1950s it changed the name to Robinson's Garage and became a limited company. It continued into the 1970s. 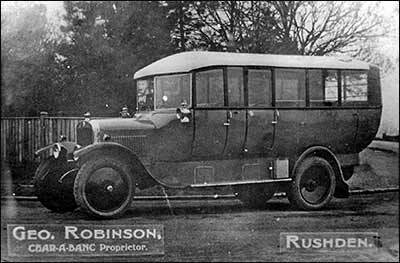 Mr George Robinson, of Rushden, has purchased another charabanc of the latest pattern, with pneumatic tyres on all the wheels and a centre gangway in the car. It is a French car, of the famous Berliet make, is fitted up with electric light, and seats 14 people with perfect comfort. With all the modern improvement, the vehicle runs so smoothly that it is just like riding in a private car. We understand that parties of 12 to 14 will be specially catered for, and the car can be booked at any time, for any distance. This week the charabanc has had two trial runs, with such satisfaction that one of the parties at once booked it for another long journey.